I have been in business for about 10 years, offering the public reliable and excellent work in new home construction and remodeling. We provide 2-10 year warranty in all our new homes.Quality and honesty is my commitment. We also work with government US veterans as well! 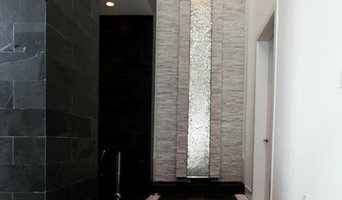 Full service of interior design, from simple makeovers, to complete renovations. Working closely with architects and contractors, she creates harmonious, sophisticated and functional spaces. 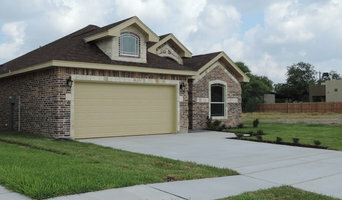 Gallery Built Homes specializes in creating beautifully built homes in Cameron County. 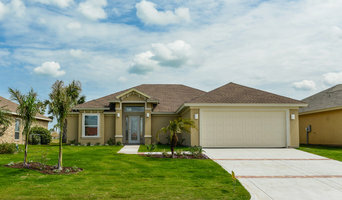 Our family oriented business has been successfully constructing quality homes for 15+ years. Our business stands by two simple rules: Design with purpose. Build responsibly. There’s no project too small for a great client. We invite you to visit our website and learn more about why we do it, who we are and what we do. ORANGE MADE is an architecture studio based in McAllen, Texas that explores the process of design and construction for building typologies of all scales including residential, and commercial. I am here to assist you. This might be a new process for you and there are so many things to concern when dealing with interior design. Working with RCI, I am able to assist you and save you time, I have a trained sense of what needs to be done and when it needs to be done. I can offer you a professional assessment on things you are guaranteed to miss. I know have to speak the construction language with builders and contractors. I am trained to think creatively and spatially and am able to visualize the entire picture and get you that "WOW" factor. From concept through construction, to the finishing touches of each of your projects, we specialize in state of the art products for today’s distinguished client. By interpreting an individual’s style and needs, Ideo Design + Build + Furnish can successfully enhance your lifestyle into your homes and businesses. We specialized and implementing technology, innovation artistic and quality products such as furnishing, lighting, accessories, textiles and art. Whether it is traditional, transitional or contemporary IDEO will find a solution for your design vision. Ideo’s comprehensive professional design and strategic planning services include analysis and discovery, development floor plan design, furniture & equipment selection, illustrations, lighting, color and material selections, construction documentation plans with details, elevations, custom furniture manufacturing, project administration and construction. Ideo can manage the entire project from design concept to completion. Empresa dedicada al ramo de la valuación desde el año de 1985, actualmente incorporamos los servicios de Bienes Raíces y Arquitectura + Construcción. Somos profesionales en lo que hacemos, nos gusta lo que hacemos. Estamos afiliados a la AMPI (Asociación Mexicana de Profesionales Inmobiliarios A.C.), C.A.N.T. (Colegio de Arquitectos del Noreste de Tamaulipas A.C.), FECOVAL(Federación de Colegios de Valuadores A.C.). Somos reconocidos por nuestra experiencia, profesionalismo, confiabilidad y diseño. Home and Commercial Design Build Firm that specialize in unique design and special features. If you are ready to start construction, we can build to your plans and specifications. Whether it is a commercial project or your dream home, let us prepare an in-depth and competitive estimate. Servicing all of your Interior Design & Decorating needs in Mcallen, TX and the surrounding areas; from basement, bedroom, closet, and home office design, to color consulting and handicap accessible design! **Authorized Wellborn Cabinetry Dealer** Cactus Flower provides design - remodel services including interior design, window treatments, carpet, fabrics, bed covering, tile, custom designed kitchen and baths. the store also has huge selection of home accessories, gourmet kitchen and gifts. Cactus Flower is a Hunter Douglas Gallery. Whole house Redesign & Remodel -- $75,000 - $250,000. Condominium Refurbish $15,000 - $100,000. Kitchen Remodel $10,000 – 75,000. Bath Remodel $7500 – $40,000. Kitchen Design & Cabinets $7500 - $30,000. Interior design services only -- $100 per hour / first hour consultation free. Based on experience and average project costs. Individual project budgets vary according to client selections and scope of work. Cactus Flower Interiors opened its doors in 1981 in a 1000 square foot store front. 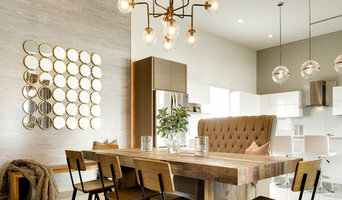 The company was founded by Josephine Gibbs and Jeri Gibbs Garrett, mother-daughter interiors designers who, like so many people, had come to South Padre to visit and ended up staying. In the “80s the South Padre Island resort area was experiencing an explosion of condominium construction. So many customers asked for help with interior design choices that the company expanded from its initial concept of bed, bath and ktichen products to offer interior design and remodeling services as well. In 1993, Cactus Flower moved to its current location in a 6500 square foot building designed and built by Jeri and Zeke Garrett to provide expanded retail and design studio space. More room meant beautiful furniture settings and retail displays. Everyone says it’s the most beautiful store on South Padre Island and truly has something for every customer. Cactus Flower provides a multifaceted shopping experience for South Padre visitors and property owners. Customers love the original art, accessories, lamps, bed coverings, and tabletop items for their homes. They enjoy perusing personal accessories as well and delight in the large jewelry selection.